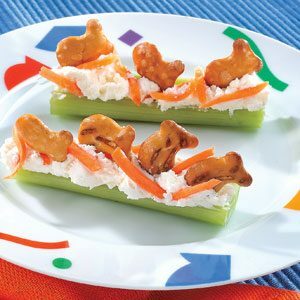 Creative and healthy snack ideas that your kids would absolutely love, and a great way to incorporate more fruits and vegetables into their diets. Remember kids need 3-5 servings of fruits and vegetables a day for their optimal development. 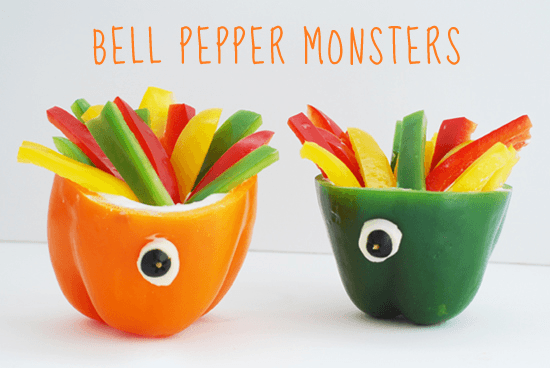 1.- Pepper Monsters. Use your favorite dips and enjoy! Cut the peppers in thin slices and fill the pepper with any type of dip. 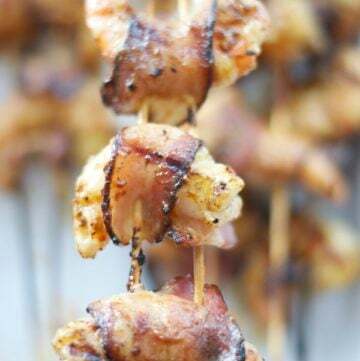 For the eyes use a slice of black olive and a little bit of dip. 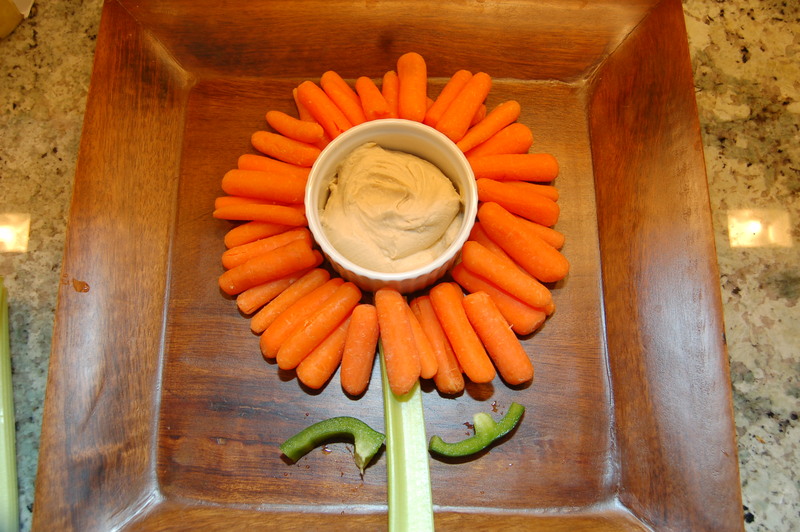 These creative and healthy snack ideas are great for parties too! My favorite dip is hummus. 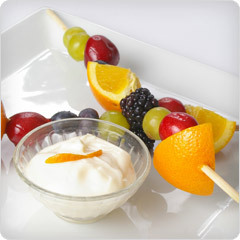 2.- Fruit Kabobs and Yogurt Dip. 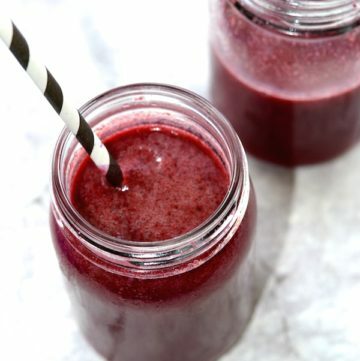 Try different flavors and fruit combinations. Greek yogurt is a good choice. Try it also with coconut milk or almond milk yogurts!If you have fun cutters you can try so many different combinations! Fruit and veggie kabobs are great too! Perfect for parties or snacks at home. One of my favorite fun cutters: Stainless Steel Vegetable Cutters made of stainless steal and great to serve kids veggies in a creative and super fun way! What a fun idea! You can also just place the celery sticks on a platter with a bean or cheese dip and decorate with goldfish pretzels, carrots or peppers! 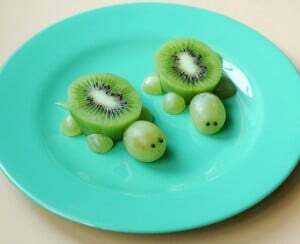 5.-Kiwi and Grape Turtle. Play with your fruit and veggies and make fun creations! 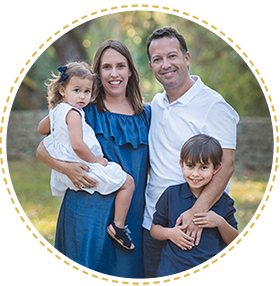 Get your kids involved in the process too! 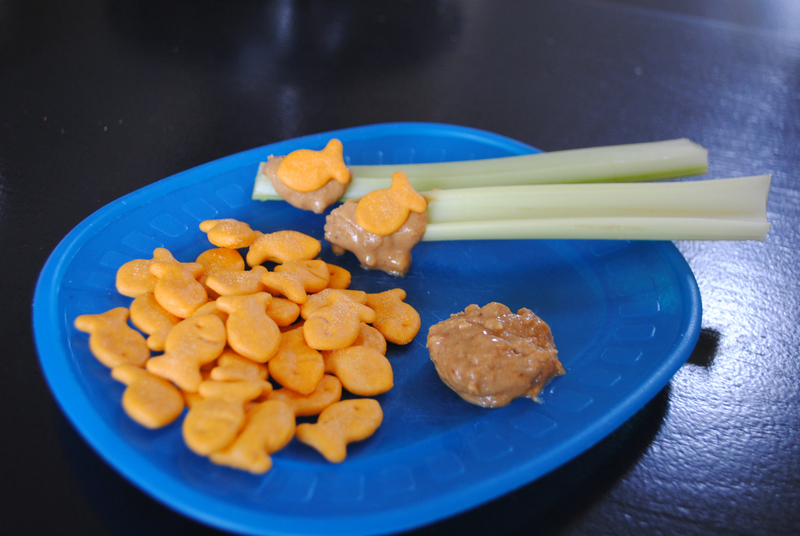 Getting some fun cutters will make kids really excited about eating healthy! Like these adorable turtles! Some other cutters I like: Wilton Metal Cookie Cutters or the MSC 3pc Flower Power Cutter Set to make wonderful fruit art! What are the eyes made of on the turtles and how are they staying on? You can use the seeds from the kiwi. You have to do it carefully with a knife and they will stay on. Hope this helps!